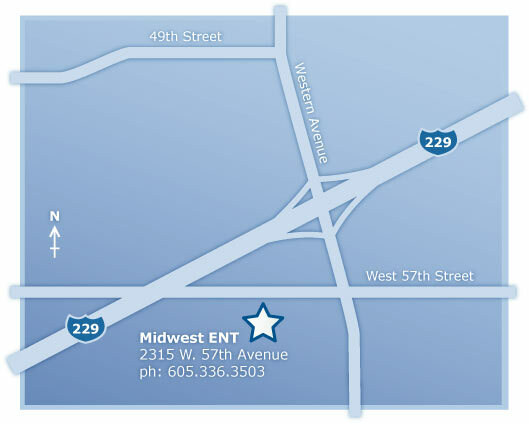 Midwest ENT is easy to find – it’s just south of Interstate 229, off of the “Western Avenue” exit. Drive south on Western Avenue to 57th Street, and turn right (west). Midwest ENT is one quarter of a mile west on the left side of the street.